adidas has reinvented one of the most legendary designs in German football history to bring it back to the stadium and to the street. The German team's new kit draws upon the design of the away kit worn by the world champions in 1990. The most striking feature is the graphic on the chest that reminds football fans of earlier triumphs and has since become iconic in street and skateboarding culture. The home shirt, which the "Mannschaft" will now be wearing on their way to defend the World Cup in Russia and during the FIFA Confederations Cup (17 June to 2 July 2017), is also adorned by a black, red and gold collar and the reigning world champions' emblem. adidas' signature 3-Stripes have once again been applied to the sleeves. Black shorts and white socks complete the outfit. The shirt also comes in a women's cut. 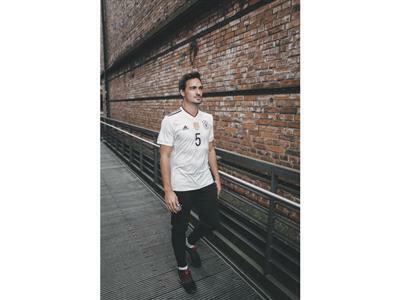 World champion Mats Hummels says: "I am a fan of our more traditional kits, but the new variant is even cooler and more dynamic and I really like it." 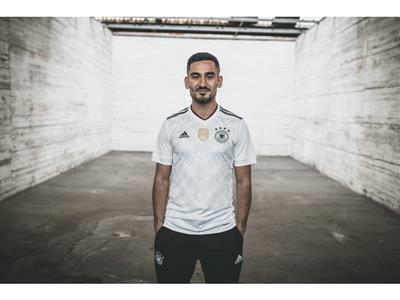 Today, adidas and the DFB have teamed up with midfielder Ilkay Gündogan to present the kit in Düsseldorf as part of an Urban Football Gallery. 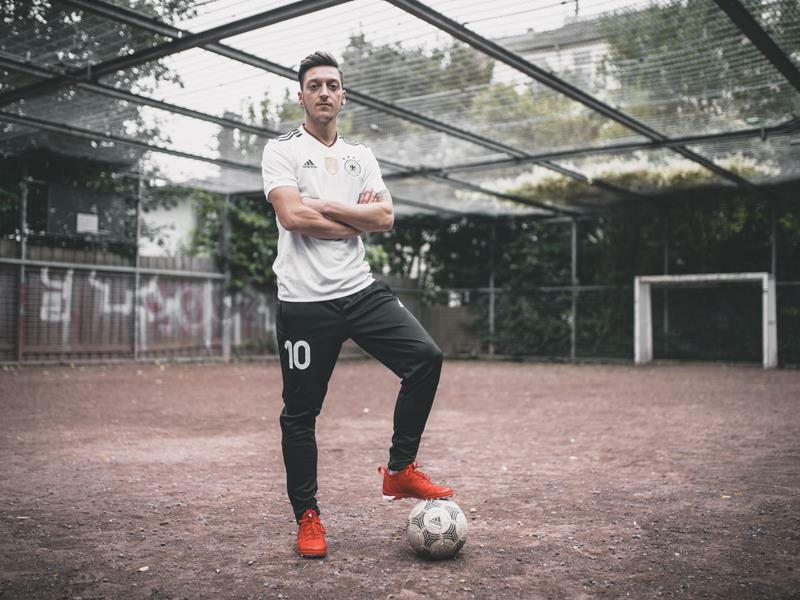 The exhibition showcases portrait photographs of national players Mesut Özil, Mats Hummels and Gündogan as well as young players, all away from the stadium: celebrating the German tradition of playing football on the streets, on makeshift pitches and in the backyards of the cities. 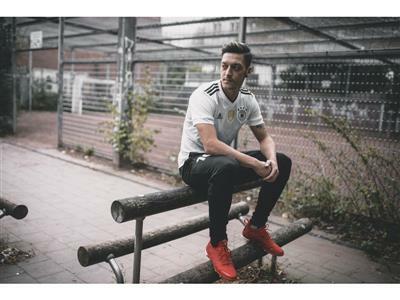 From Monday, 7 November, the kit will be available from the DFB online shop (www.dfb-fanshop.de), adidas stores, the adidas online shop (www.adidas.com/football) and specialist stores. The new kit will see action on Friday, 11 November at the World Cup qualifying match in San Marino. For further information, please visit adidas.com/football or go to facebook.com/adidasfootballor follow @adidasfootball on twitter to join the conversation.